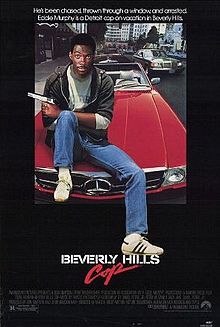 PREMISE: Detroit cop Axel Foley (Eddie Murphy) heads west after an old friend is killed over some stolen bearer bonds. Axel traces the bonds to Beverly Hills and, under the guise of taking some vacation time, tries to solve his friend’s murder. 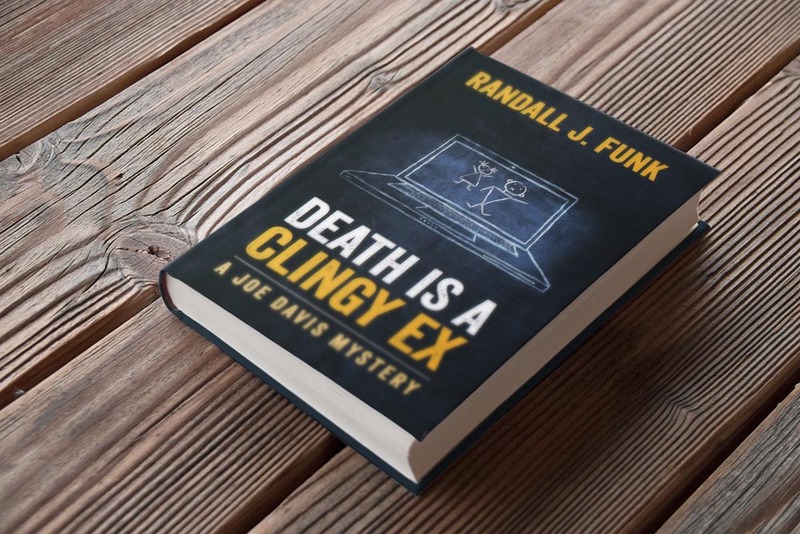 Once there, Axel must contend with an unscrupulous businessman, the uptight Beverly Hills Police Department and his own clash of cultures in order to bring the killer to justice. It’s a melange of cop buddy, comedy, action and fish-out-of-water flicks. WHY IT WORKED: Three reasons: Eddie Murphy, Eddie Murphy and Eddie Murphy. No disrespect to the rest of the cast (which was filled with good hands like Ronny Cox, Josh Ashton, Judge Reinhold and Jonathan Banks) but you could have put Eddie Murphy up there with 12 mannequins and the movie would have been a smash. The man was a force of nature at the time, having almost-singlehandedly saved Saturday Night Live and done yeoman’s work in creating the cop-buddy film with 48 Hours. With Cop, Murphy proved he didn’t need a co-star to produce box office gold. Before he started singing and starring in crap like The Golden Child or Vampire in Brooklyn, Eddie Murphy was the comedy equivalent of The Beatles in 1965 or Nirvana in 1992; somebody who was completely original and uncompromising, yet could appeal to a mass audience. Cop was the perfect vehicle for him and he made the most of it. He’s quite literally everything that is funny and captivating in the movie. Director Martin Brest, who also helmed WarGames, Midnight Run and Scent of a Woman, clearly understood this and did his best to get out of Eddie’s way. WHY THERE WAS A SEQUEL: Well, why not? The film made a bajillion dollars, was universally praised and wasn’t a premise that was difficult to repeat. And if you could get Eddie Murphy back for a role he clearly enjoyed playing, why wouldn’t you greenlight a thing like that? WHY IT DIDN’T WORK: Well, it wasn’t a total disaster. It was a far cry from the first movie and as 80’s action movies went, it was several notches below your Lethal Weapons and your Die Hards. But it was also MUCH better than anything produced by your Stallones, your Schwartzeneggers and your Chucks Norris. Tony Scott (Ridley’s brother) is in the director’s chair this time, meaning we get lots of smoke drifting through the air and light coming through half-opened blinds. (Apparently, Tony wanted to live in a world where it was permanently dusk.) While Martin Brest was a comedy director who could also do action scenes, Scott was first, last and always an action director. So he’s on much more sure ground with the gunplay and the car chases than with the comedy. What yuks we DO get come from the camera being pointed at Murphy, Paul Reiser or Gilbert Gottfried (who was apparently paid to show up and be Gilbert Gottfried for five minutes. Seriously, why did they even bother giving the character a name?) While the movie tries to recreate the “one man against everyone” feel of the original (Bogomill, Rosewood and Taggart are all on the outs with the new BHPD regime) it fails because Axel ISN’T alone this time. With no antagonists-who-become-allies story arc, Rosewood and Taggart largely function as Axel’s sidekicks. While the movie makes a ham-handed attempt at fleshing out those characters (such as giving Rosewood a creepy gun obsession) their job is to mainly stand around and look impressed with Axel. For his part, Murphy doesn’t seem to be having as much fun with this film as he did with the first. While he’s still hilarious and charming in many scenes, you get the feeling he knows it’s a patter he could do in his sleep. It didn’t hold the same fascination for him and he was ready to do other things. There’s a huge element of fun that’s missing from Cop II. Turns out, that would be the keynote for the next part of Murphy’s career. WHY THERE WAS A SEQUEL: Like its predecessor, the movie made a bajillion dollars. No, not as much as the original Cop, but certainly a healthy amount. While Murphy decided to move away from Axel Foley-type characters, the first two movies made enough money that he always had a third Cop film in his pocket if he ever needed it. It probably should’ve stayed there. THE PREMISE: After his boss is killed during a raid that goes bad (spoiler alert? Dude, the movie’s been out for almost 25 years. Get it together) Axel Foley makes one more trip west, pursuing some crooks who are using a theme park as cover for a counterfeiting operation. WHY IT DIDN’T WORK: If you’re tempted to call Cop II a joyless mess, it was Moulin Rouge compared to Cop III. John Landis helmed this one, having previously scored gold with Murphy on Trading Places and Coming to America. Landis’ hiring was a bit of a surprise, given that he and Murphy, despite their previous success, couldn’t stand each other. I seriously doubt Cop III changed anything. Murphy was mired in a career slump at that point and seemed to be doing the movie only for the money. According to Landis, Murphy actively resisted doing a lot of the comedy, feeling Axel was now older and more mature (as if anybody watching the first Cop movie was saying to themselves, “Boy, I hope Axel grows out of this tendency to be f**king hilarious and cool.”) As a result, there are plenty of setups for Axel to crack wise or openly riff that just disappear like soap bubbles. It’s as if Murphy was saying, “Yeah, I’ll do another Cop movie, but I’m not going to be Axel Foley.” The supporting cast is hit-and-miss. Neither Ronny Cox nor John Ashton return (the movie had been in development so damn long, they were now committed to other projects.) Judge Reinhold returns and has his moments as Billy Rosewater, but doesn’t seem to be involved too much (he DOES get a cool shootout scene at the end.) Hector Elizondo plays Jon Flint, a hastily-conceived and never-fully-developed replacement for Ashton’s Taggart. Bronson Pinchot returns as Serge, the former art gallery employee from the first movie. Pinchot is fun, but the character’s appearance feels so shoehorned in that you spend most of the time trying to figure out why he’s there. There’s a villain and a love interest, but neither of them are worth remembering. I’m sure Landis tried his best, but with no real comedy, the action wasn’t much of a fallback option. Landis only directs effective action scenes when they involve driving a car through a shopping mall or cutting off Vic Morrow’s head. Yes, I know that joke was tasteless and mean. It’s also funnier than anything you’ll find in Beverly Hills Cop III. WHY THERE WON’T BE A SEQUEL: Well, there just might be. Cop IV has been in what’s called turnaround hell (the inability to get a project off the ground despite multiple attempts) for years. At one point, Murphy’s friend Brett Ratner was attached to direct and the film seemed to be all-systems-go, only to get pulled because Murphy had script concerns. (In recent years, Eddie’s seemed less inclined to take movies simply because someone offers him a bunch of sacks with dollar signs written on them.) Murphy certainly seems willing to return to the series, not wanting to leave it with the stinkeroo that was Cop III. Currently, Edil El Arbi and Bilall Fallah are slated to direct and the film is supposed to start shooting this summer. While I’d love to see it happen, I’ll believe in a Cop IV when it comes to a theater near me. A mercurial star who quickly lost interest in the thing that made him famous. Diminishing director returns. It can be universally agreed that Tony Scott was a poor choice to direct Cop II. Landis might (MIGHT) have made something out of Cop III if Murphy had been willing to meet him halfway. But why, for the love of all that’s holy, was Martin Brest not brought back for ANY of the sequels? I’m guessing he either pissed off Eddie or the suits at the studio didn’t realize how much influence he had over the first movie. Script problems from day one. I have no difficulty believing John Landis’ assertion that the first Cop movie looked terrible on the page and that Brest encouraging his cast to improvise made the movie work. If that’s the case, NONE of the Cop movies have had worthwhile scripts, meaning bullet points one and two on this list become that much more important. FINAL VERDICT: A slide from exhilarating to excruciating, pretty much paralleling Eddie Murphy’s mid-eighties to mid-nineties career.